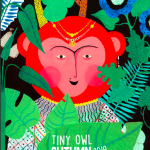 The Drum longlisted for 2019 UKLA Book Awards! You are here: Home / The Drum longlisted for 2019 UKLA Book Awards! The Drum has been longlisted for UKLA Book Awards! 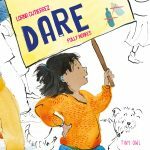 We are so excited to hear that The Drum has been longlisted for the prestigious UKLA Book Awards 2019, in the 3-6 years category! The UKLA Book Awards celebrate children’s books, and are judged by teachers! They select the books that they think are the best to share with their pupils, to inspire interaction and wider discussion! 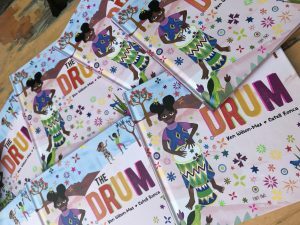 The Drum is a fun picture book filled with song, rhythm and dance, which encourages children to clap their hands, stomp their feet and move to the beat! 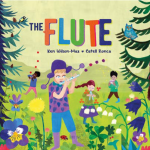 Written by Ken Wilson-Max, and illustrated by Catell Ronca, The Drum is the first book in Tiny Owl’s new Children. Music. Life. series. Music helps the physical, emotional, and intellectual development of babies, as well as strengthening cognitive and sensory development, so this book is perfect for getting young children dancing and moving! 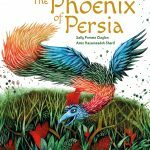 It is a fantastic read for all ages, with a range of diverse characters and an infectious rhythm! Try fun activities inspired by The Drum!